A strike by Iranian truck drivers which entered its third consecutive week has expanded to the capital Tehran amid the country’s ongoing oil crisis and a halt in shipping services. 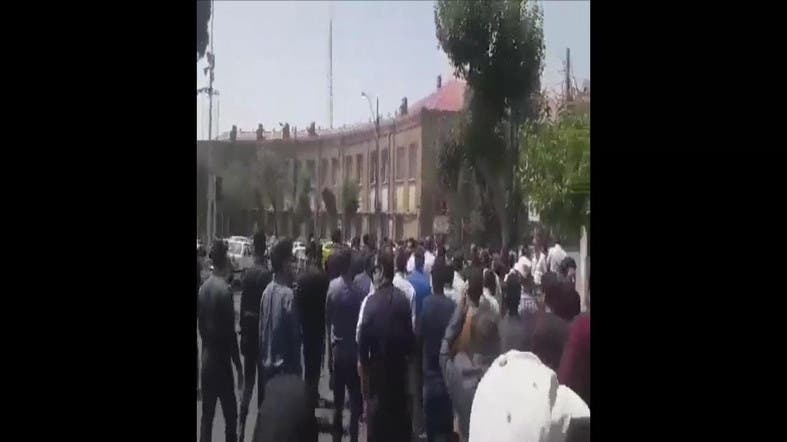 Video and pictured circulating on social media show the strike affecting the main highway in central Tehran, where truck drivers raised banners with slogans calling for solidarity. Iranian activists on social media said that drivers parked their trucks on the main road in a long convoy to join the strike. The strike is ongoing despite threats of fines and punishment on charges of disturbing security and propaganda against the regime. Iranians on social media launched a supporting campaign to the strike under #Iranstrikes in English language and another hashtag in Farsi. The truck owners and drivers say the reason for the strike is due to lowering the fees of freight prices despite the high cost of the truck in return for the increase in government fees on shipping, and cut on government aid assurances. International trade union organizations such as the International Federation of Truck Drivers, the National Federation of French Trade Unions of the General Federation of Labor (CGT) and the North American Truckers Association have issued statements in solidarity with the truck drivers' strike in Iran and demanded that the Tehran regime meet the demands of the protesters.